Get well soon, Jr. But not too soon. 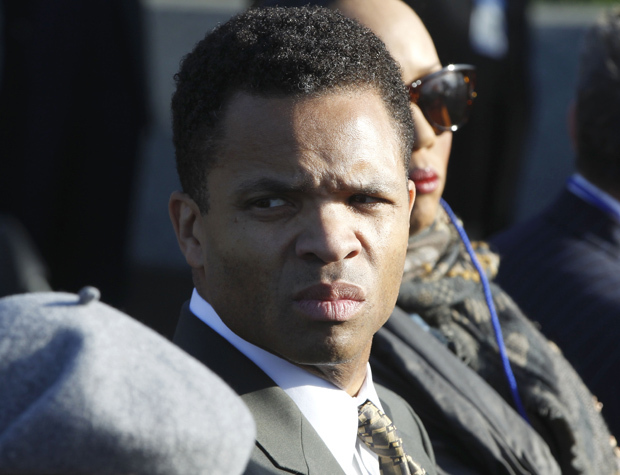 Illinois U.S. Rep. Jesse Jackson, Jr., one of the steadiest and most reliable Democratic votes in the House of Representatives, has been out of sight for more than a month, being treated for a mood disorder at a residential facility, God knows where. So naturally there’s tons of talk about what this means, the suffering of his constituents during his absence and even chatter about the congressman’s possible resignation. I’m thinking: Seriously? Poor Junior has to carry the burden of his old man around every day of his life, and now he can’t get medical help without the whole world speculating about his condition and his future? 1. The current Congress has been the most logjammed, unproductive assembly in recent memory. They’ve worked just as long as — but achieved less than — any other Congress. So no matter how long you take to recover, Junior, chances are that whatever issues you cared about will still be viable. You’re not missing a thing. 2. The current Congress is obsessed with one thing and one thing only: The Affordable Care Act. Last week, the House voted to repeal it for the 33rd time. I know — it feels just exactly like Groundhog Day! Jesse, you’ve already registered your position 32 times. We know where you stand. And we also know where the ACA stands, at least until November. The Senate won’t pick up this hot, steamy pile of feces, but even if it did, the president — duh — would veto the repeal the minute it hit his desk. 3. Everybody hates this Congress; it can’t hurt you to keep your distance. This is the Congress that can vote on the ACA 33 times but can’t pass a jobs bill or a budget. It took us to the brink of bankruptcy, and, for the first time ever, allowed the U.S. to lose its credit rating. A little bit of time away from these wackos can help, Jess. 4. This Congress operates in such a topsy-turvy world that when House Republicans wanted to cut $16.5 million from subsidies to rural airports and screw the unions in the process, they couldn’t come up with a plan before the annual budget ran out. In other words — and remember that House Republicans have the majority — they had to furlough about 75,000 workers in the middle of an economic crisis and lost $350 million in revenues from airport taxes. The House GOP called it a victory. Junior, no wonder you feel a little off-kilter! 5. Even if you don’t show up to campaign for your November race against your GOP opponent, Brian Woodworth, you’re gonna win. Sure, they moved your district farther south, you’ve got more Republicans to consider and fewer African-Americans. Doesn’t matter. Even if you don&apos;t triumph by your usual landslide, you’re going to win.